There’s still no word on the official premiere date for season 2 of Luke Cage on Netflix, but we now have our first image from the upcoming season — and it reveals something that fans have been hoping to see since the very first episode of the show. 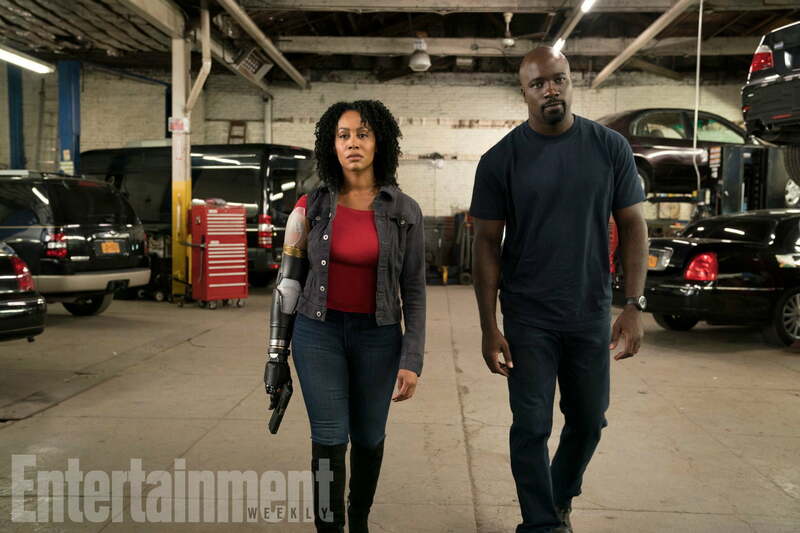 The photo from the second season of Luke Cage debuted at Entertainment Weekly and features series star Mike Colter alongside actress Simone Missick, who plays detective Misty Knight in the series. Missick’s character is seen with a mechanical arm in the image, indicating that the on-screen version of Misty Knight now shares something else in common with her comics counterpart, who sports a powerful bionic limb. Although the loss of Misty’s arm was teased during the first season of Luke Cage, it wasn’t until the recent team-up miniseries The Defenders that she actually lost her arm. While it was a bomb blast that prompted the amputation of Misty’s arm in Marvel Comics continuity, it was the deadly villain Bakuto (Ramón Rodríguez) who separated Misty from her arm in the live-action series. Given that the comic-book version of Misty Knight received her arm from Iron Man himself, Tony Stark, it will be interesting to see whether the Netflix shows go down that path. Marvel’s live-action series on Netflix have generally kept a narrative distance from Marvel’s cinematic universe despite existing in the same world. It was strongly suggested near the end of The Defenders that Danny Rand (Finn Jones) would play a major role in Misty’s recovery and rehabilitation, so Netflix might choose to substitute one billionaire character for another in order to maintain that separation from the MCU.